sdn - Phillips Murrah P.C. If you are a subcontractor or owner on a project where the general contractor has declared bankruptcy, you should act quickly to ensure, to the extent possible, that your rights are protected. First, whether you are a subcontractor or owner, examine your contract and realize that termination due to bankruptcy is likely unavailable. Once an individual or corporation files bankruptcy, a provision called the “automatic stay” comes into play, which allows the individual or corporation filing bankruptcy to avoid creditors’ demands while organizing for the coming proceedings. Thus, generally, a contract with a general contractor cannot be terminated unless the bankruptcy court lifts the automatic stay. 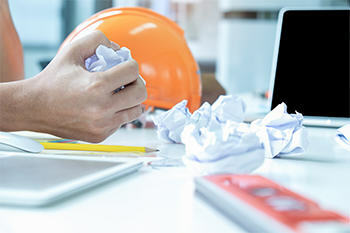 Second, if you are a subcontractor, you should contact the surety (if the project is bonded) or the owner (if it is a private, unbonded project) to make sure that the owner or surety has a formal written claim from you that shows what has been paid, what invoices were submitted but not yet paid, and the balance to finish. Make sure that the owner or surety, as the case may be, is also aware of any submitted changed orders that may be going through the approval process. Note that lien rights are unaffected by a general contractor’s bankruptcy, as liens are against the owner and not the general contractor. Third, if you are a subcontractor, your automatic reaction may be to stop or slow work. However, simply pulling from the job may not be the best option in all circumstances. General contractors can still enforce their rights for performance under the subcontract, and you do not want to be dealing with a breach claim at the same time as trying to receive payment for work performed but unpaid. However, if a general contractor decides to enforce his or her rights to performance, the general contractor will have to pay you for that work. To ensure payment, joint checks from the owner may need to be negotiated. In either event, slowing work while working with the general contractor, owner, or surety may be the best option to preserve all rights and make sure you do not incur additional costs or obligations. Fourth, if you are an owner and the project is bonded with a performance or payment bond, you will want to make sure you are in close communication with the bonding company. Additionally, you will want to make sure the surety is paying claims so you are not faced with lien claims by unpaid subcontractors or suppliers. In conclusion, the key point is to communicate up and down the chain. Owners need to know what claims are outstanding and who was working on the projects so they can protect their rights and move forward with the project. Similarly, and for the same reasons, subcontractors need to let owners and the surety, if applicable, know that they have outstanding unpaid bills and receive guidance on how to proceed. While this article addresses certain considerations after bankruptcy is declared, owners and subcontractors should consider contacting legal counsel to make sure they are protected while moving the project forward and to protect their rights in the bankruptcy proceedings. If you are concerned about how this issue affects your business, contact Samuel D. Newton, who represents and counsels clients in Oklahoma and Texas on construction law issues, including contract review and negotiation, bond and lien claims, and other construction matters. Sam can be reached at 405.606.4711 or at sdnewton@phillipsmurrah.com. Click here to view Sam’s Attorney Profile page. https://i1.wp.com/phillipsmurrah.com/wp-content/uploads/2019/03/GC-bankruptcy-image-smaller.jpg?fit=350%2C233&ssl=1 233 350 Dave Rhea https://phillipsmurrah.com/wp-content/uploads/2014/11/pmlogo-web-logo-300x61.png Dave Rhea2019-03-12 15:13:352019-04-10 09:02:45What happens when a general contractor files for bankruptcy? Phillips Murrah Attorney Samuel D. Newton gave the last presentation for a Fall educational series on Nov. 2 for members of the American Subcontractors Association of Oklahoma. Newton’s presentation was entitled “Protect and Preserve: Considerations and Implications of Business Practices on your Company’s Future” and follows presentations given by Attorneys A. Michelle Campney and David A. Walls in September and October, respectively. “In the discussion, we covered maintaining corporate best practices to preserve the corporate shield, non-disclosure and confidentiality agreements, discussed the implications of the Oklahoma Uniform Trade Secrets Act and how it works with confidentiality and non-disclosure agreements and how they all apply to protecting your business,” Newton said. “I switched to discussion of preserving businesses either through succession planning or selling the business. Newton, Campney and Walls will continue the series and each give presentations to ASA-OK in the Spring. For more information about ASA, visit their website here. Gavel to Gavel appears in The Journal Record. This column was originally published in The Journal Record on August 2, 2018. Efforts made this year to move forward with a federal infrastructure bill have stalled. Now, with the state budget strained and federal dollars unlikely, the legislature, counties, and municipalities will likely need to look at alternative methods to deliver needed infrastructure enhancements and repairs without additional tax funding. Public-private partnerships provide a viable alternative. Using a P3 structure, a state will turn over one of its essential services, such as highway construction, to a private developer. When people think of P3s, they generally imagine large-scale infrastructure projects. However, bundling smaller projects has shown promise that allows benefits to flow to smaller projects or rural communities. For example, Pennsylvania awarded a multi-year contract for a developer to finance, design, construct, and maintain 558 bridges that otherwise would have had to wait until the budget constraints allowed for repair. P3s have also been used on other public works projects such as wastewater treatment centers, schools and hospitals. In 2017, the Oklahoma Public and Private Facilities and Infrastructure Act was enacted, authorizing a governmental entity to enter into P3s. While the act appears to be more focused on utilizing the P3 scheme for non-highway infrastructure projects – it exempts the Oklahoma Department of Transportation and the Oklahoma Turnpike Authority – it does allow for ODOT and the OTA to utilize its general scheme for awarding road infrastructure projects. Most importantly, it provides a ready framework for identification and implementation by examining, among other factors, the project’s ability to improve public operational efficiencies, promote public safety or attract private investment in the state and minimize governmental liabilities. However, P3s aren’t a panacea. One of the oft-cited concerns of using P3s is turning over an essential government service to a private corporation that isn’t subject to the same oversight and accountability standards as a public agency. This concern is addressed in the contractual documents surrounding the P3 project, with the government generally having significant oversight rights. The agency that would generally be responsible and the partnership committee established under the act will need to engage in significant analysis prior to deciding on a P3, and both the parties have to be able to work together in the spirit of the project with awareness as to its respective rights and responsibilities. Samuel D. Newton is an attorney with the law firm of Phillips Murrah, practicing in construction, oil and gas, and health care law. Samuel D. Newton is an attorney practicing in Construction, Health Care, and Oil and Gas Law. 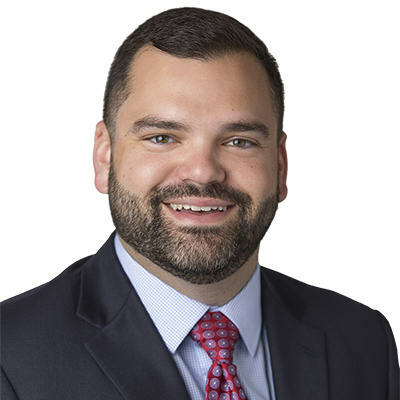 In this article, attorney Samuel D. Newton discusses procedures Oklahoma construction industry employers need to develop with the legalization of medical marijuana. With the passage of State Question 788 and the decision by the Governor not to call a special session, many of the ancillary questions regarding the impact of medical marijuana will remain unanswered until the next legislative session in 2019. But, in jobs where safety is key, such as construction, employers will need to develop procedures now to ensure that they are complying with safety rules and regulations as well as not stepping on an employee’s rights. Q: How does the passage of State Question 788, medical marijuana, affect my safe work site and drug free policies? A: The provisions of State Question 788 provide that an employer can take action against an employee who uses or possesses medical marijuana at the place of employment or during work hours. Thus, a contractor’s safe work site policy that prohibits the use of drugs or alcohol on the job is allowable under the law. However, unless an employer can show an imminent risk of losing a monetary or licensing benefit under federal law or regulation, an employer cannot refuse to hire, terminate, or otherwise discriminate against an employee simply because the employee has a medical marijuana card. Q: If one of my employees with a medical marijuana card is “high” on the job can I still terminate him or her? A: Maybe. Contractors will need to carefully differentiate between being impaired at work (ie, under the influence of marijuana and its attendant effects) and testing positive for marijuana although the employee may not be impaired. Unlike alcohol, scientific research has not been able to put a specific number on the THC levels (the compound in marijuana that makes one “high”) that impairs a person’s ability to drive or work safely—and THC may appear in a blood or urine screen well after it is consumed. So, unless the legislature choses a legal level of THC, the key will likely be whether, based on an objective observation, the employee was able to safely function. Q: My company is working on federal projects, how can I mesh the state law requirements and federal law requirements? A: Federal law still considers marijuana to be a Schedule I Narcotic under the Controlled Substances Act. Thus it is against federal law to consume or possess marijuana, medical or not. Additionally, most, if not all, federal projects are subject to the federal Drug Free Workplace Act which requires employers to have a drug free work place policy prohibiting the unlawful possession or use of drugs in the workplace and make an ongoing good faith effort to maintain a drug free workplace. These policies include requiring the employee to report to the employer and the employer to report to the contracting agency any workplace criminal drug conviction. However, the distinctions are fine and the interplay between federal law and the imminent risk of losing federal contracts or licensing has yet to be defined by Oklahoma or Federal courts and not by the federal or state government. 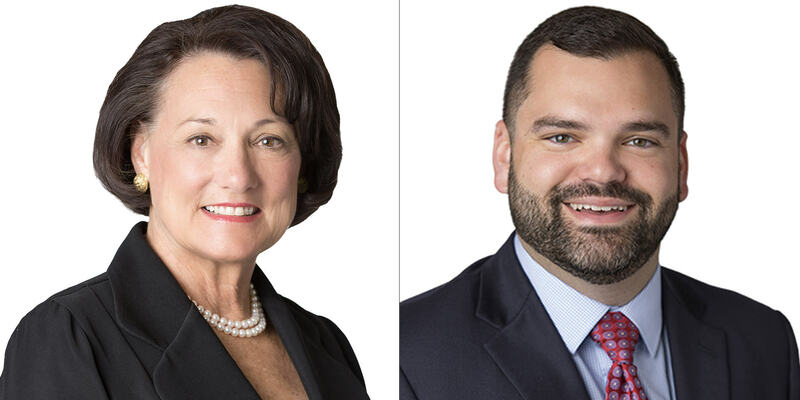 Phillips Murrah Healthcare attorneys Mary Holloway Richard and Samuel D. Newton will be featured presenters for a program exploring the opioid epidemic in Oklahoma and across the country. “Our purpose is to provide information to the attendees about different policies and programs across the country, which is extraordinarily helpful in tailoring responses that will be effective in our state and in explaining policies and programs to everyone they impact,” Richard said. The program will be presented for Continuing Legal Education (CLE) credit by the Oklahoma Bar Association Health Law Section at noon on April 11 via live webcast. “This program has been designed for policy makers, attorneys, healthcare professionals, regulators, law enforcement, patients and their families and community advocates,” Richard said. Participants can expect the program to cover the statutes, regulations and policies being implemented to combat this epidemic by making services more available, detecting abuse and misuse within the healthcare system, and supporting enforcement and remedial processes, according to the Oklahoma Bar Association. Those interested may click here for more information and to register for this program. Mary Holloway Richard is a healthcare lawyer who has written extensively in this area and has published a review of state programs across the nation. Samuel D. Newton is an attorney who represents healthcare providers and practitioners with a special focus on long term care and licensure. Click here for more information about Phillips Murrah’s Healthcare Law practice. Gavel to Gavel appears in The Journal Record. This column was originally published in The Journal Record on February 15, 2018. Samuel D. Newton is an attorney practicing in Oil and Gas, Construction, and Health Care Law. Oklahoma heavy civil and oil and gas construction will likely increase in the near term due to increased activity in the oil and gas fields and President Trump’s proposed $1.5 trillion investment in infrastructure. Often seen as a heavily litigious industry, construction projects don’t have to end in litigation if contracts are carefully drafted and parties enforce the provisions during the course of the project. Here are some points to consider when drafting and/or reviewing. Know your deadlines. Most construction contracts impose liquidated damages in the event of delay. While substantial/final completion is likely non-negotiable, (sub)contractors should raise, and try to draft around, any potential milestone concerns during negotiations to prevent the assessment of liquidated damages or exercise of the contract default provisions. Additionally, all parties need to be aware of the timeline for making claims or submitting change orders. Both are often waived under the contract if the proponent of the claim/change doesn’t submit the appropriate notice to the appropriate person in the requisite period of time. Know the payment scheme. Payments are also often a litigious issue in construction. All parties should be aware of lien and, if applicable, bond claim rights, as they vary based on who the contracting entity is and where the project is located. Additionally, “pay if paid” and “pay when paid” clauses should not be confused. “Pay if paid” clauses shift the risk for nonpayment to lower tiers if payment is not received from higher tiers. “Pay when paid” generally only acts to give the (sub)contractor time to pay after it receives payment. Case law suggests that “pay if paid” clauses would need to be explicit to be enforceable in Oklahoma, though no cases directly examine the clause. Know your contracting partners. Conduct due diligence to ensure that those you are contracting with – at each tier – have the skills and financial stability to complete the project. Consider including (or modifying) clauses that allow suspension and/or termination of the contract, if the representations and warranties you relied on when deciding to enter into the contract were untrue or grossly overstated. Know your contract. Finally, don’t simply sign the contract and put it in a drawer. All parties should know the provisions and educate their employees about provisions relevant to their scope of work. Samuel D. Newton practices construction and oil & gas law at Phillips Murrah P.C.